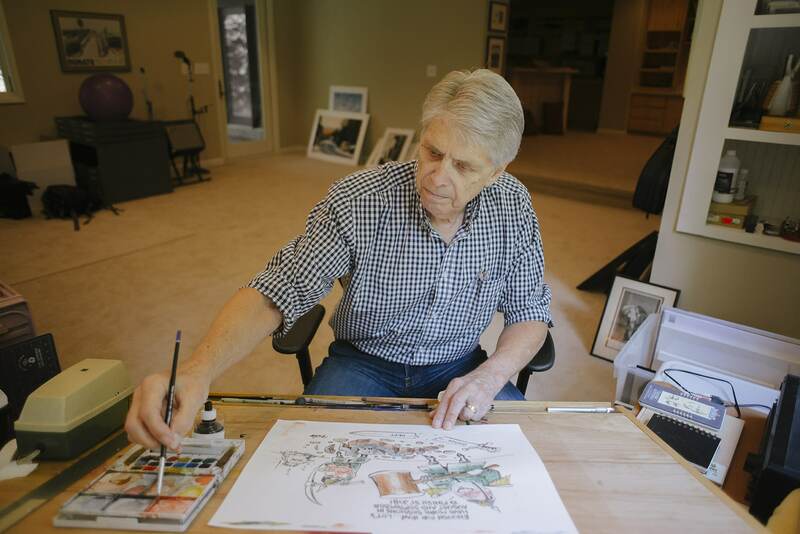 Editorial cartoonist Dwane Powell has passed away. 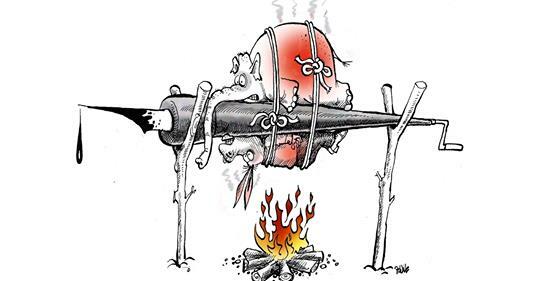 Drexel Dwane Powell Jr., an editorial cartoonist, was born 7 November 1944 in Lake Village, Arkansas. He began drawing editorial cartoons while in high school. 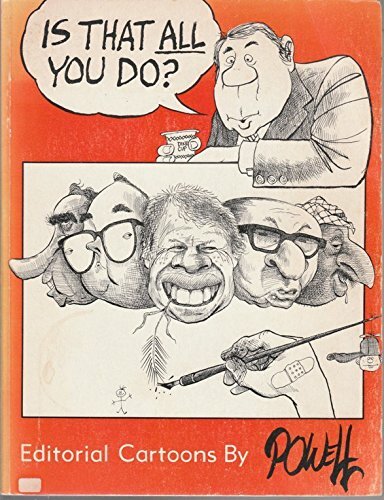 After graduating from the University of Arkansas at Monticello in 1969, he was hired as a political cartoonist at the Hot Springs Sentinel Record (1970-1972). He later moved on to the San Antonio Light (1973-1974), then the Cincinnati Enquirer (1974-1975), and finally to the Raleigh News and Observer. 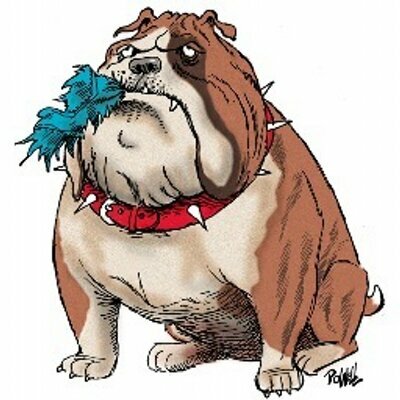 Powell retired in 2009, but returned to drawing editorial cartoons in 2013. 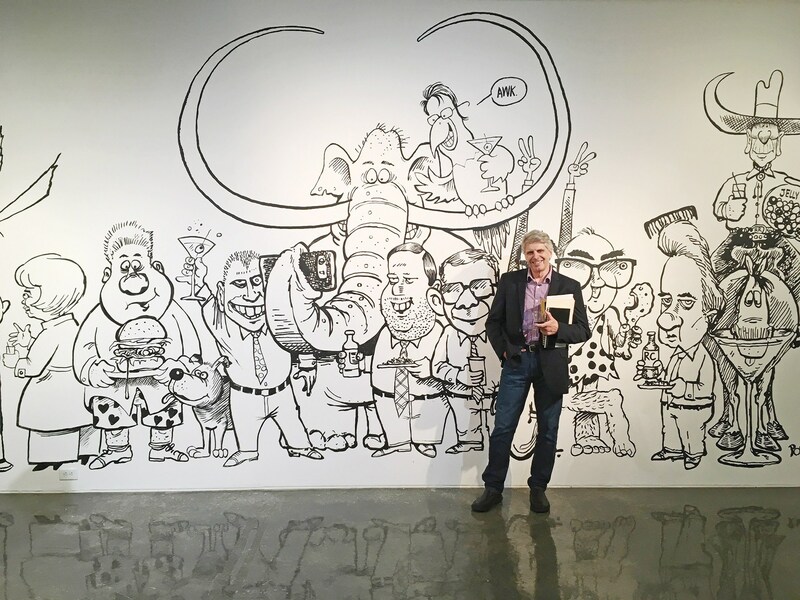 He has won the Overseas Press Club award for Excellence in Cartooning, the national Headliners Club award for Outstanding Editorial Cartoons,the Plott Hound Award, and the Raleigh Medal of Arts Award. In 2013 he was inducted into the North Carolina Journalism Hall of Fame. Four collections of his work have been published: Is That All You Do? (1979), Surely SOMEONE Can Still Sing Bass! (1981), The Reagan Chronicles (1987), and One Hundred Per Cent Pure Old Jess (1993). The Raleigh News and Observer ran a fond remembrance of Dwane today. About two years ago the local magazine Walter worked up a wonderful piece on Dwane. He was a gentle soul, merry in his outlook on life, devoted to his family, loyal to his friends and courageous through his final day. “Those who knew him” is a phrase that, in Dwane’s case, included literally hundreds of thousands of people. That was, in part, thanks to his 35 years as the editorial cartoonist at The News & Observer…Throughout his career, Dwane was an influential and beloved mentor to many with creative pursuits. He so enjoyed sharing his passion by encouraging individuality and recognition through the arts. But there was much more to Dwane than his remarkable career. He had an exceptional talent for photography…He was an accomplished guitar player, and was also quite adept on several other instruments. He sang and wrote many songs over the years, some in collaboration with his closest friends. One of the greatest joys of Dwane’s life was creating music and sharing that together with his daughter, Devon. His gentle, kind, upbeat and loving disposition will be intensely missed by all who were blessed to know him. In honor of Dwane, we encourage you to find an adventure in each day, to live with passion and stay connected to what brings you joy. This is how Dwane lived and it inspires us to do the same. ANNOUNCEMENT: Due to the inclement weather, we are looking at rescheduling the visitation/memorial for @DwanePowell. We will now have it tomorrow, Saturday, 4/20 at 4:30-6:30pm at the same place, the City of Raleigh Museum on Fayetteville Street. and a few drawn eulogies. 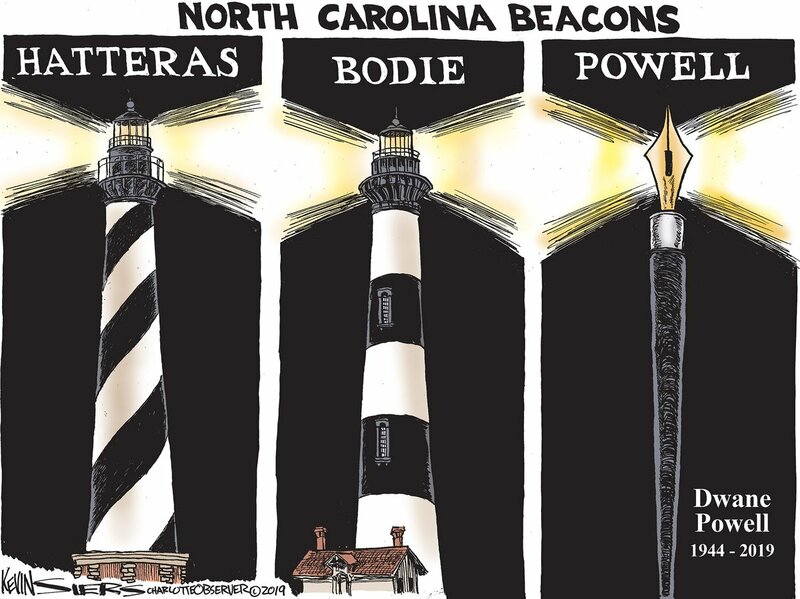 I really liked the one below by Kevin Siers. Thanks, buddy. Rest in peace. Very sorry to read this. A talented man w/ whom I greatly enjoyed debating. God bless / his family. Very sorry to hear that. I always looked forward to Powell’s cartoons in my paper’s Editorial section. 22 queries in 0.198 seconds.